Wales plays host to a vast array of romantic, historic and intimiate inns. 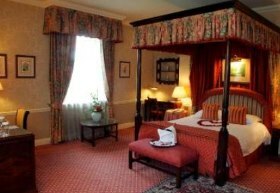 Whatever your budget, Welsh Country Inns brings you the very best selection of romantic breaks in Wales. These venues all have that "wow factor", whether it be award winning food, four poster beds or a candlelit ambience. Why not also browse our selection of boutique hotels and inns in Wales? If you're looking for a romantic break with a little extra intimacy, why not try a romantic cottage for two? Simply click on the image above! The Manor House at The Celtic Manor Resort The Celtic Manor Resort has two hotels, one old, one new, that stand together in 1400 acres of parkland in the beautiful Usk Valley. Manorhaus is a 5 star GOLD restaurant with rooms, offering stylish boutique accommodation and excellent facilities including Private Cinema, Library, Fitness room and Sauna and steam room. A Grade II listed building, its Georgian features are contrasted with stylish modern design and 21st Century facilities. Bedrooms are individually designed and feature free wi-fi broadband, en-suite bathrooms and wet-rooms with power showers. Enjoy great food in our award winning restaurant. (manorhaus is not suitable for babies or children under the age of 12). Tucked away from the madding crowd, the Meadowsweet Hotel is a Family run place and is set in the picturesque village of Llanrwst. Here you will feel one of a kind, rather than one of the crowd. Most of our rooms have just undergone extensive refurbishment are en-suite with showers and have tea and coffee facilities, hair dryers and a televisions in each room. Our Restaurant & Bar 'LLE HARI' has also just undergone an extensive refurbishment, with exellent reviews. The Anchor Inn was built in the 18th century, with its low ceilings and oak beams, it used to be a stopping place for drovers on their way from Holyhead to Shropshire.The Inn was tastefully renovated in june 2003 to provide high quality accommodation and match the already established reputation for fine cuisine. 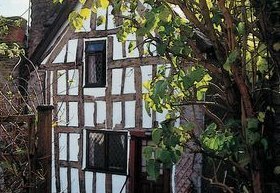 Ye Olde Anchor Inn, set in the medieval town of Ruthin, offers the perfect spot to spend a night whilst touring North Wales. Ruthin and the surrounding area offers the most fantastic opportunity for walking, from the mediæval Offas Dyke, to Lady Baggots Drive which, in season, is covered in bluebells and wild garlic. Having been awarded a Michelin Star in 2007 The Crown at Whitebrook is the perfect venue for food lovers. A romantic auberge set in three acres of gardens and pasture at Whitebrook, a small village just 5 miles from Monmouth and one mile from the River Wye, The Crown is a perfect base for exploring too. The early parts of the Inn were built between 1670 and 1707. In 1973 it was carefully restored and modernised, retaining the original Inn as the restaurant and lounge/bar and extending to provide new accommodation. Luxury family run hotel situated just minutes off the M4 motorway and yet only 10 minutes away from Swansea City Centre and 20 minutes from the beautiful Gower coastline. All 70 bedrooms are en-suite and fully air-conditioned and complete with Sky TV including sports pacakges. Our award winning Victorian Tower houses three beautiful, individaully designed suites ideal for a romatic getaway or a special occasion. Our annex houses the fantastic leisure facilities, which comes complete with an indoor infinty pool, sauna, steam room, Jacuzzi and fully equipped gymnasium. Nestled among the Welsh Hills of Cardiff, only 10 minutes from the centre lies the Manor Parc Hotel. This family fun hotel of 21 bedrooms has been clean kept and traditionally classic for nearly 3 decades. With our lounge bar and Orangerie Restaurant the personal touch that flares from our kitchen to our front of house staff can only be described as perfect.